Snap elections in Greece have been on the cards for a while. Every move made by the government in recent months (negotiations with the troika in Paris, the early bailout exit plan, calling a sudden vote of confidence and moving the date of the presidential vote forward by two months) have been vain attempts to put off the inevitable. There was never a convincing case that the coalition’s candidate would be able to gather the minimum 180 votes needed and Prime Minister Antonis Samaras’s half-hearted attempts to offer a potentially game-changing compromise over the past week were far too little, too late. Samaras’s decision not to meet other party leaders, regardless of the obstinacy of SYRIZA, Independent Greeks and Democratic Left, to discuss an agreed solution was less than his role as prime minister demanded. His decision to name his candidate at the last minute and for him to be the vice president of his own party, New Democracy, indicated that he had no real intention of building consensus. The premier’s admission in a TV interview on Saturday that snap elections would suit him perhaps inadvertently revealed that there was never any genuine attempt to elect a president. There has been a distinct sense over recent weeks that the government has lost the appetite to see through the adjustment programme it has repeatedly argued is the only option for Greece to exit the crisis. The final troika review was meant to be wrapped up within a few weeks of the meetings in Paris in early September. However, as the review dragged on so it became apparent that the government did not have the political will (and perhaps the necessary votes in Parliament) to push things over the line. Each troika demand squeezed a little more life out of the coalition until it became clear that a new plan had to be devised. At this point, Samaras made what was a deeply political calculation: He realised that passing the latest clutch of troika demands through Parliament would guarantee that his government had no chance of electing a president in February and would force it to go to national polls having only just approved a new round of unpopular measures. In these circumstances, bringing forward the presidential vote gave the coalition a slightly better chance of success or, if snap elections were not avoided, meant that a SYRIZA or SYRIZA-led government would be left with the task of closing out the troika negotiations. Samaras will know very well that his chances of winning a snap election are slim. He will also be aware, though, that he can make life very difficult for SYRIZA. The polarisation of the political debate in Greece (in which the opposition has also played a significant part) has already led to the gap between New Democracy and SYRIZA narrowing. The less convincing a probable election victory is for SYRIZA, the more difficult the leftists will find it to form a government. They are highly unlikely to reach the 36 to 38 percent bracket they need for a clear majority. Meanwhile, fellow anti-austerity party Independent Greeks might not make it into Parliament or, if they do, will probably not have enough seats to help SYRIZA. An alliance with PASOK or centrist To Potami will demand a lot of bridge building. So, if SYRIZA wins a January 25 election it will have around a month in which to ensure the election of a president, find political allies that do not yet exist, form a government for the first time in its history and reach some kind of settlement with the troika before the extension to the current bailout ends on February 28, leaving Greece in serious danger of being unable to meet its debt obligations over the next few months. Even if SYRIZA overcomes these hurdles, it will still have to put its demands for debt relief and economic stimulus to the country’s lenders, while running the risk of alienating them by fulfilling its pre-election promises of wage and pension rises. This increases the possibility that a SYRIZA government would reach an impasse very swiftly. Any attempt to seek confrontation with the eurozone that could put Greece’s economy at risk would probably see its coalition partner(s) walk out, while a move to water down its austerity-reversing policies could cause a fracture with SYRIZA’s sizeable left wing. In the meantime, investors and depositors may have voted with their feet. This would likely lead Greece to a new round of elections, with SYRIZA suffering the consequences of its swift stint in power and Samaras’s New Democracy cashing in. It is what has been come to be known in right-wing circles in Greece as the “Left Parenthesis” theory. Of course, it could play out a different way, with SYRIZA being unable to form a government and Greeks going to the polls for the second time around a month later, as they did in the summer of 2012. It should not be forgotten that in those elections two years ago, New Democracy garnered an unthinkably poor 18.8 percent in the May vote (the lowest total in its history) but increased its share of the vote to 29.6 percent in June, having preyed on fears that Greece’s position in the eurozone would be at risk should SYRIZA win. It is this increase of almost 11 percentage points that is in the minds of those strategists who believe that Samaras might be better off playing the long game by allowing SYRIZA to make a mess of things and him coming back, almost saviour-like, with an increased majority. It may sound like a far-fetched plan, which runs counter to Samaras’s insistence in Saturday’s interview that he was doing “everything possible” to ensure that presidential candidate Stavros Dimas would be elected, but there have been clear signs that snap elections have been on the prime minister’s mind. There is an old saying that you can tell a politician is lying just by checking to see if their lips are moving. There is a local variation to this: You can tell if a Greek politician is preparing for elections by checking if they are hiring public sector employees. A few days before Christmas, Parliament passed a government amendment to rehire more than 200 workers on the Athens metro. 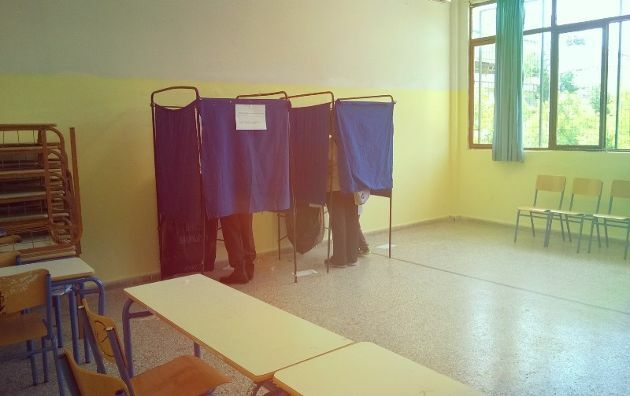 If you were looking for a sign of whether Samaras and his government were preparing for elections, this was it. It is worth bearing in mind that these 210 workers were hired when New Democracy was in power in 2009, a few days before elections ushered in a PASOK government. A subsequent investigation led to charges being filed against 10 public officials and the workers losing their jobs as it was deemed that hiring criteria had been bypassed. Apart from indicating that the government wrote off the possibility of electing a president, the decision to rehire these workers (following four previous attempts by New Democracy to do so) raises new questions about Samaras’s commitment to the principles of the adjustment programme he has spent the last 2.5 years implementing. The fact that SYRIZA also voted in favour of the amendment prompts doubts about whether the leftist party is doing anything more than paying lip service to the idea of breaking with the compromised political practices of the past. These issues would be something worth discussing in the upcoming election campaign. 1. PASOK is no more. All practical resistance to reform came from Venizelos who is now eliminated as a key player. 2. If ND manages to maintain its lead then it could form a coalition with Potami and other leftovers. to 20+ Million based on 140 MP seats, without having to govern. In other words Syriza doubles its funding without having to rule while Samaras continues to hold all burdens. This would be a really dump scenario for Samaras who in essence financially boosted his opponent to feed his habit of kyvernolagneia (lust for power). 1. Troika forced the early elections, not Samaras. 2. If Syriza comes to power, messes up and ND takes over in the 2nd round, then Toika loses all leverage to induce reforms on "I told you so" Samaras. 3. If so then Troika is the clear loser on this and the Greek politicos (and their antics) won. How well do you think this will go down in Berlin? Who won the Battle of Greece?